AA|LA is pleased to present It’s Snowing in LA, a group exhibition by Dahn Gim, Sejin Hyun, Kang Seung Lee, Haena Yoo, Minha Park, and Min ha Park. Employing a diverse range of media from video and drawing, these artists—all of whom have lived in Korea and Los Angeles—reframe the historical and personal significance of these places in order to reflect aesthetic, social, and political exchange. By exploring how a city is constructed, fabricated, and imagined, It’s Snowing in LA navigates cultural identities rooted in transience, remembrance, and redefinitions of space. In the video A Story of Elusive Snow, Minha Park curiously searches for snow in Los Angeles as a means of reconnecting with Korea, only to find synthetic snow used in Hollywood films. Sejin Hyun replicates an image from an Ikea catalogue in Borrowing Art From Ikea, in order to investigate the nature of fabricated domestic settings irrespective of geographical or cultural context. Min ha Park’s abstracted dayscapes and nightscapes reflect the familiarity of natural and electric lights in Seoul and Los Angeles. 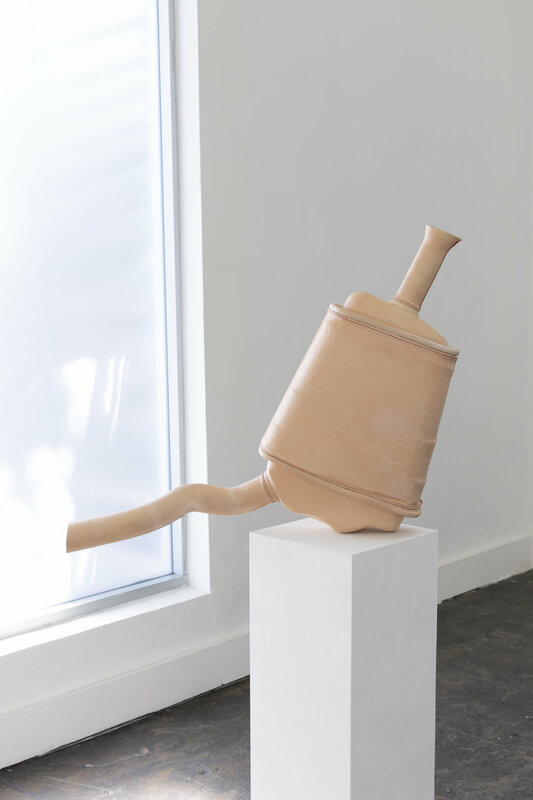 Drawing upon the iconography of Southern California, Not So Muffled, a sculpture by Dahn Gim, features a female voice mimicking the sound of an automobile engine, humanizing the cacophony of noise typically associated with freeway culture. As the center of the Korean-American community, the Koreatown neighborhood serves as a focal point for reflecting on the evolution and history of place. In the installation Under Construction, Haena Yoo models a Koreatown construction site to which she adds video clips from local restaurants and Korean advertisements from the past three decades alongside broadcast coverage of the 1992 Los Angeles Uprising. This exploration of the transforming neighborhood compliments Kang Seung Lee’s use of news imagery from 1992 Los Angeles Uprising. His prints reimagine these featured sites of violence as ghostly memorials to traumatic pasts. Join us for a closing reception featuring readings by LA-based writers Maurene Goo, Derek Kirk Kim, Steph Cha, and Saehee Cho. The evening will include a launch our exhibition catalogue for It's Snowing in LA featuring interviews with each of the participating artists. Amy Kahng received her BA in Art History from Pepperdine University. Her primary research interests include performance and media artists working in South Korea since the 1970s. In addition to her own curatorial work, Amy has worked on projects at art institutions such as the MoMA, the Getty, and Kukje Gallery as well at artist-run and non-profit galleries spaces. In 2014, she co-curated the international photography exhibition, Ecotone: Boundaries, Tensions, Integrations. Mary McGuire received her PhD from the History of Art and Architecture at UC Santa Barbara. She has completed many curatorial and research projects, including conducting foundational research and artist interviews for the exhibition Radical Bodies: Yvonne Rainer, Simone Forti, and Anna Halprin in California and New York (2016-2017), exhibited at the New York Public Library and the UC Santa Barbara Art, Design & Architecture Museum. As an independent curator, she co-curated an extensive exhibition project, I am the Medium: Art Performed on the Body, focused on embodied performance art in the work of Andrea Fraser, Mona Hatoum, Gillian Wearing, Ana Mendieta, Franko B., and Katarzyna Kozyra.